Adobe, Oracle, Salesforce and Marketo are leading the pack when it comes to providing digital marketing platforms, new Gartner research reports. The analyst firm’s latest report on Digital Marketing Hubs placed the four within the leaders component of its Magic Quadrant, a decision that also reflects the growing capabilities and scope of their marketing technology platforms. 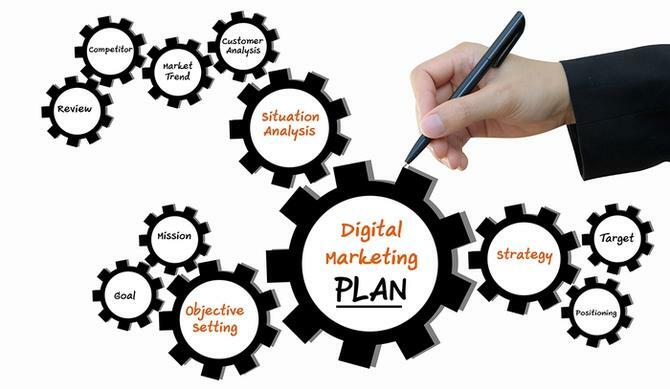 According to the Gartner report, digital marketing hubs provide standardised access to audience profile data, content, workflow elements, messaging and analytics functions for running and optimising multi-channel campaigns and experiences, and data collection across online and offline both manually and programmatically. These platforms were expected to cover four key areas of capability: Master audience profiling using a combination of first, second and third-party data sources; workflow and collaboration tools for end-to-end marketing program management; intelligent orchestration for multi-channel marketing activities and automation; and unified measurement and optimisation. Platforms were judged both for their strengths and weaknesses. Adobe’s leading Marketing Cloud platform, for instance, was highlighted for its vision, cloud-based software delivery, focus on a broad set of tools for marketers through its creative and analytics heritage, financial strength and commitment to marketing solutions innovation. However, the research firm flagged ongoing integration, high price points, and complexity and support around Adobe’s modular-based Marketing Cloud as cautions. Oracle, meanwhile, received high marks for its broad scope of capabilities through acquisitions, big data architecture and product integration and workflow. However, weaknesses cited by Gartner included Oracle’s reliance on acquisition for development and some feature gaps, such as native multi-touch attribution analytics and DSP functions, as well as low customer satisfaction scores around pricing and post-sales engagement. Marketo, another one of the big four, was recognised for its comprehensive set of capabilities for most direct marketing uses cases and multi-channel journey mapping, along with partner ecosystem and audience management. Cautions included shortfalls around ad tech integration, some customer dissatisfaction around pricing and support, and native search engine marketing tools. Salesforce Marketing Cloud’s strengths ranged from cross-cloud journeys into sales and services thanks to its Journey Build feature set, to intuitive user experience and strong email marketing capabilities thanks to its ExactTarget acquisition, and active investments in product innovation. On the cons side were inconsistent hub adoption, immature data analytics and some customer concerns around diminished support quality as well as pricing. Brands listed by Gartner as challengers but with similar abilities as the top four to execute were Experian Marketing Services, IBM and Epsilon (Conversant). The list of visionaries, or those vendors with similar vision to the digital marketing leaders but who lack the same ability to execute, included MediaMath, Krux, Turn, RocketFuel, DataXu, Sitecore, Neustar and IgnitionOne. The Gartner map also has a fourth quarter reflecting niche players in this space. On the list were RedPoint, Nielsen (eXelate), Kitewheel (a decisioning engine spun out of Provenir in 2014), Sizmek, Marin Software, Zeta Interactive and Teradata.